K and K Maintenance Supply has been in business since 1980. 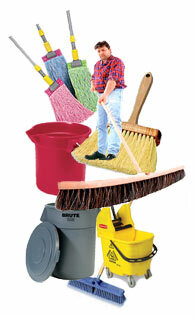 We are a family-owned business, setting the standard for all your maintenance supplies. We work hard to bring the highest quality janitorial supplies to your school or business, along with innovative ideas and the latest technology to lower your building maintenance costs. We also manufacture athletic field marking paint to provide bright lines for football and soccer games. When winter arrives, our line of ice melters will save you time and money. So, inside and out, we've got you covered.